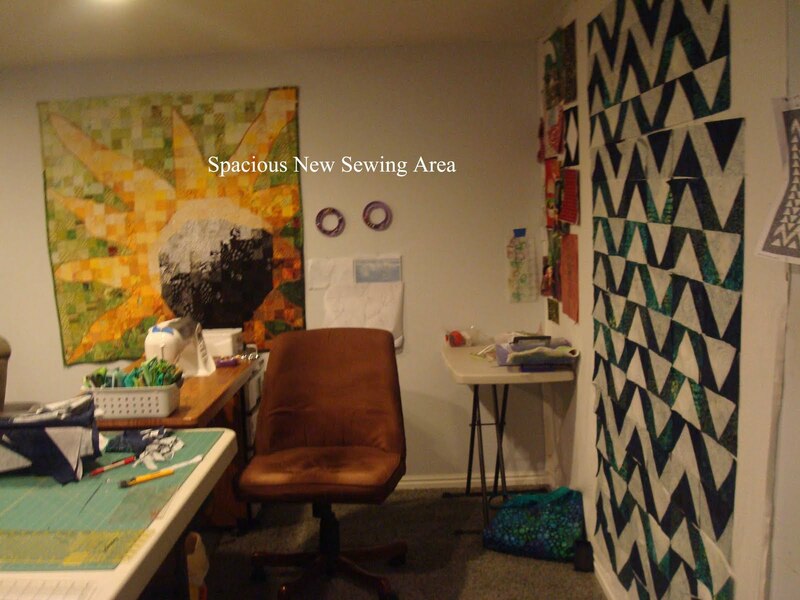 When we remodeled the basement we put in lovely cabinets and a desk area for me to use as a sewing room. The arrangement worked fairly well but the laundry kept getting in my way of sewing or my sewing would get in the way of the laundry. There wasn't a spare wall to put up a design wall and so when I started my Eclipse quilt I put a flannel sheet up on one of the walls in the family room. This led to me moving my sewing machine in to the family room, followed by my cutting board, rulers, rotary cutters, thread drawers, and on and on. 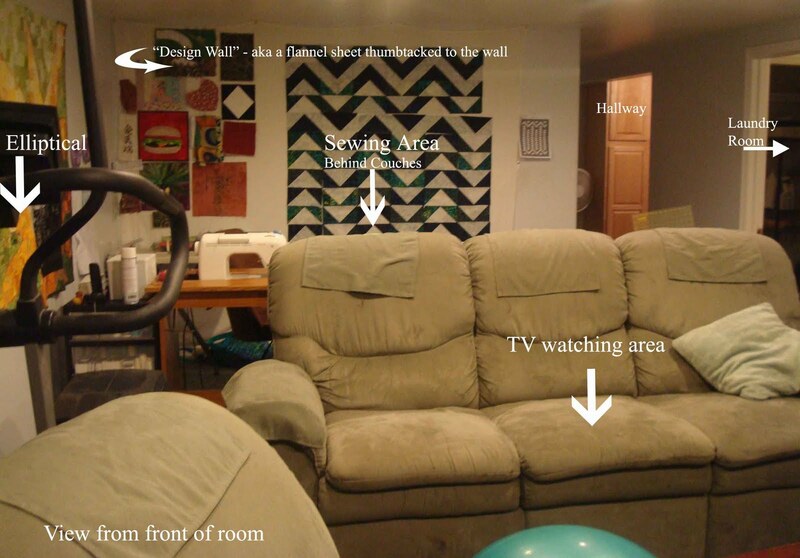 I soon learned that I loved being in the family room because of the DVR. I love being able to watch recorded TV shows while I sew, however my sewing often made the room very messy and difficult for others wanting to watch TV in there (aka - my husband). After a day of rearranging last week I belive I have found a solution. I don't have photos of the "before" but here are some "after" shots.